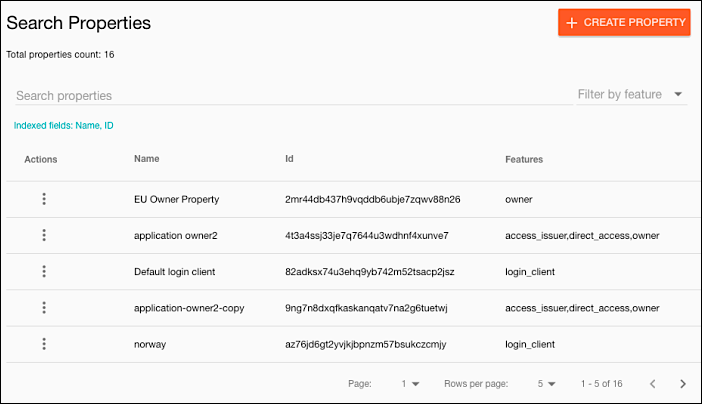 After your Identity Cloud implementation has been deployed, you can log on to Console and begin work, with no additional configuration required. Form used when editing a user profile in the Customer Care Portal. Indicates whether the Resend Verification and the Send Password buttons are visible when editing a user profile in the Customer Care Portal. Flow locale used for Customer Care Portal actions such as creating and editing user profiles and sending emails. Name of the flow used for Customer Care Portal actions such as creating and editing user profiles and sending emails. Version number of the flow used for Customer Care Portal actions such as creating and editing user profiles and sending emails. Form used when sending password reset emails from the Customer Care Portal. Form used when creating user profiles in the Customer Care Portal. Form used when sending email verification emails from the Customer Care Portal. 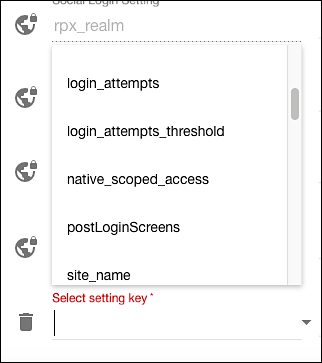 Attribute used to restrict agent access to a specified set of user profiles. This setting can only be configured at the global scope. Used with entity_type_search_distinguisher_field to define the user profiles an agent can access. This setting can only be configured at the global scope. Defines the attribute values that are returned when you do a Console search. This setting can only be configured at the global scope. 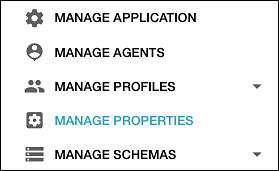 When enabled, search results are not shown by default when you open the Manage Profiles page. This setting can only be configured at the global scope. Base URL used when generating a password reset link. Base URL used when generating an email verification link. Click the Save Changes icon to add the setting to the property. Make your changes and then click the Save Changes icon. After the setting has been removed from the screen, click Save Changes to complete the operation. To add the first parameter, in the Key field, type key. In the Value field, type the name of the setting to be added (for example, console_enable_mail_send_buttons). To add the second parameter, in the Key field, type value and then, in the **Value **field, type the setting value (for example, false). This process is also used to modify an existing value. If the specified setting already exists, the API call will change the value. If the setting does not exist, the API call will add the new setting. To delete a client setting, use the Delete method.